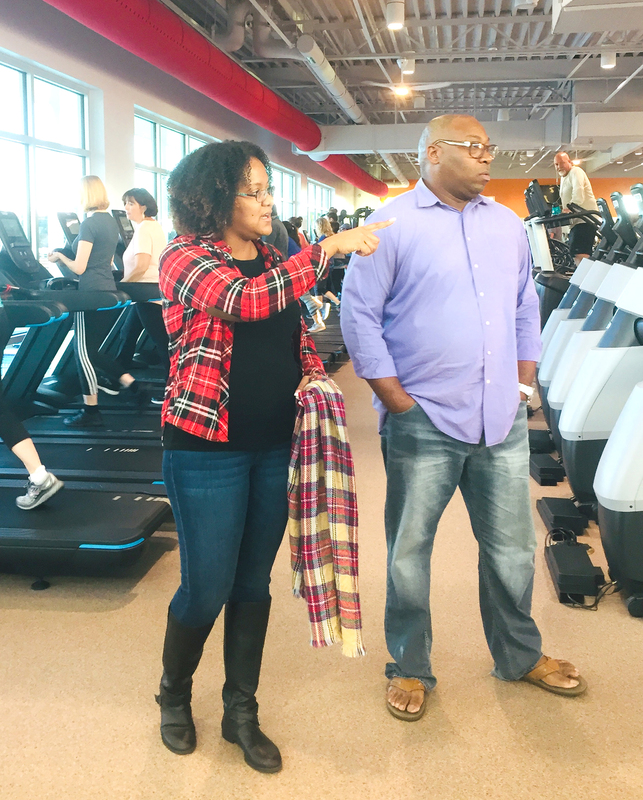 Kelly and Walter Wilbon of Riverview have joined the new Spurlino Family YMCA and hope to enjoy it numerous times a week with their three children. The grand opening for the new Y, at Big Bend Road and I-75, took place Jan. 10. As local dignitaries and YMCA officials cut a ribbon declaring the new Spurlino Family YMCA officially open, the silhouettes of those practicing yoga were visible from a wide second-floor window of the new facility. Inside, hundreds gathered last week to check out the new aquatic facilities, workout rooms, children’s play area and more. After 10 years of planning and fundraising, Hillsborough County has its first new family YMCA in 15 years. Already, more than 1,000 families have signed up for membership. Among those is Tina Martinez and her daughter Christina Martinez. Walter said he’s happy with the fact that the Y is a family-friendly gym and social gathering place where the couple’s three children, ages 8, 10 and 16, can find fun activities in which they will want to participate. The family had been going to a $10-a-month gym, but the younger kids couldn’t go. For not much more, Walter said, the whole family is now involved. The new Y is a public-private partnership between Hillsborough County, the Y and several major donors, including the Spurlino family. The $16.5 million indoor and outdoor recreation facility is built on 32 acres at Big Bend Road and I-75 on county-owned property. “I was raised here in southern Hillsborough and graduated from East Bay High,” County Commissioner Stacy White said during the ribbon-cutting ceremony. “When we were growing up, recreation was different.” It involved riding in the back of a pickup truck or running around a farm or ranch. The Schrier family was invited to the podium with Jennifer Murphy, vice president of the YMCA’s governance board, to talk about what the new Spurlino Family YMCA means to them as a family. The boys both play soccer there and are eager to expand their opportunities at the Y located at 9650 Old Big Bend Road in Riverview/Gibsonton..
“As the area grew more in population, it needed more places like the Y for exercise, sports and fun, a place to build lifelong bonds,” White said. “I’m still soaking it all in,” said Jennifer Murphy, the Tampa YMCA Governance Board vice chair. To drive home what the new Y is all about, the Schrier family, Sheri, Scott and their two boys, were invited to the podium. The boys have been playing soccer on the Y field for six seasons now. Seven-year-old Max Schrier said every time the family has come to the soccer fields over the last year, they’ve peered over to watch the progress of the new Y building, and he’s glad it’s finally finished. 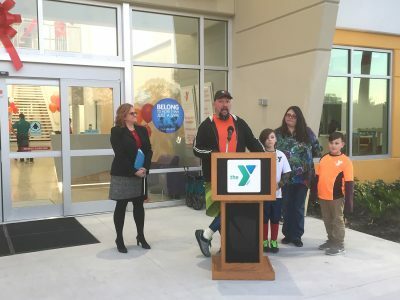 Matt Mitchell, CEO of the Tampa YMCA, said the Spurlino Family YMCA grand opening is an appropriate way to celebrate 130 years of the YMCA in Hillsborough County.